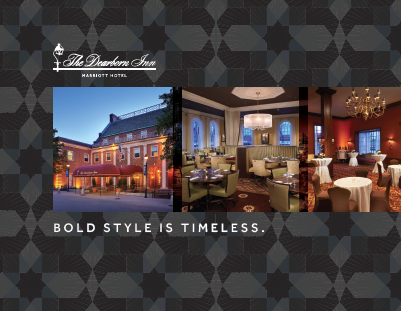 The Dearborn Inn is conveniently located adjacent to The Henry Ford History Attraction, Ford Business Campus and within a short distance from University of Michigan (Dearborn). It is close to the Fairlane Town Center (shopping) and only 20 minutes from downtown Detroit and 12 miles from Detroit Metropolitan Airport. Free self-parking is available on site. The venue also has a business center and a local courtesy shuttle. If you have questions or need help with the link, please do not hesitate to ask. Additionally, guests may also make reservations by calling (877) 757-7103. Guests should mention The Dearborn Inn, A Marriott Hotel and the Esmart Factory to ensure that your group rates are extended appropriately. The hotel has 229 guest rooms, Colonial Homes and suites in an 8-building campus layout. They are large, well-lit work desk and wireless high-speed Internet access. Each room has a 37” flat panel TVs with standard cable and high-definition programing, telephone with voice mail and message light, AM/FM alarm clock radio. In-room coffee maker, hair dryer, iron and ironing Board are also provided.